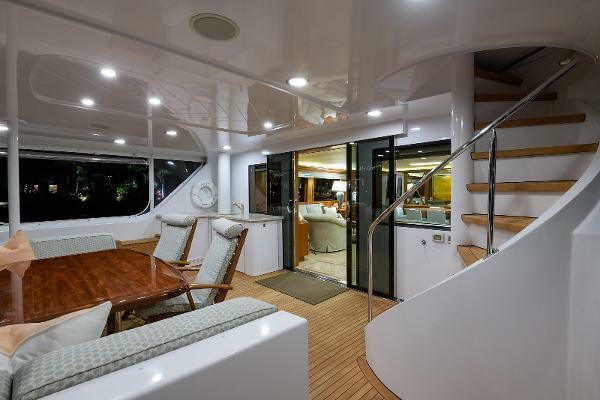 My Girl, one of the few 95' Westport yachts built to date, exemplifies casual elegance to perfection. Purchased by the current owner in 2012. 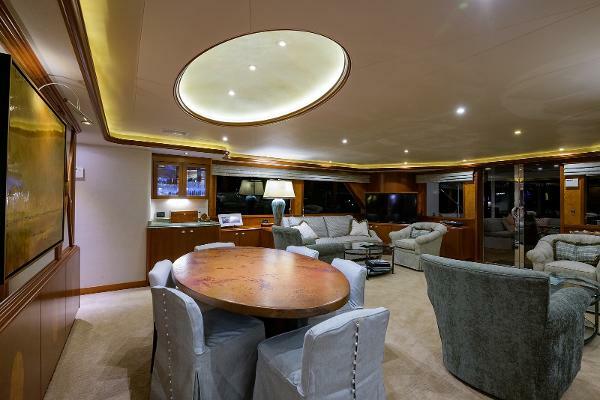 Extensive refits have addressed all major areas within the boat. Salon updated to replicate newer Westport models, including cherry with burl wood accents. The galley upgrades include Sub Zero and Kitchen Aid appliances with beautiful inlaid Amteako flooring. The spacious master stateroom includes a luxurious marble his and her bathroom, separated by a custom double access shower stall. My Girl has four well-appointed state rooms, accommodating 8 berths. The latest technology enhancements were the addition of LED/HD audio visual equipment in all rooms as well as, LED lighting. Custom features and upgrades make My Girl a must see for anyone in the Westport market. Specifications: Year: 2010 LOA: 4.45 m Beam: 1.48 m Draft: 0.20 m Construction: GRP Hull / Keel: Planing HIN: N/A Description: The Westport Pilot III is an open angling boat, ideal for sheltered coastal waters and rated for three crew. With slender lines she not only cuts through the water, perfect for rowing, but is capable of higher speeds with modest outboards making her fast & economic to run. With a full internal deck moulding, plenty of locker storage forward & aft and clear open deck areas she is great for family days out to. Her sleek lines are based on a design develped by the Norwegians for use in and around their Fjords, where the boats are used to get in close to the rocks under oars, or motor, but have good speed to get out and back economically. 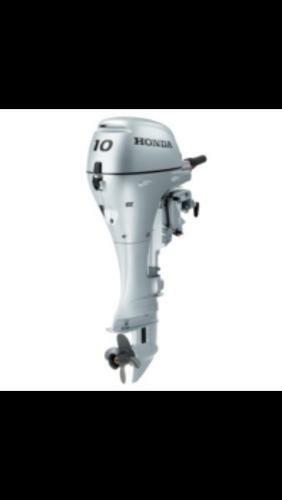 The hull is in a simulated clinker style, progressing from a gentle V forward to flatter sections aft incorporating a turn of bilge with large radius giving minimal slow speed resistance, while maintaining lift aft for higher speeds. A moulded keel has been incorporated to promote directional stability when rowing, but reduced in size aft to improve higher speed handling and performance. 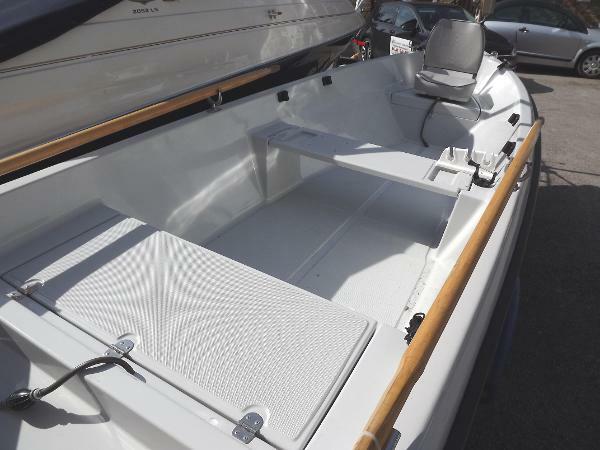 Finished is to a high standard with a full internal deck mould, complete with non-slip moulded deck, seating forward, aft and amisdhips and moulded outboard well aft. Cleaning and rinsing is kept simple with an internal drain into the hull and then out through a transom drain. 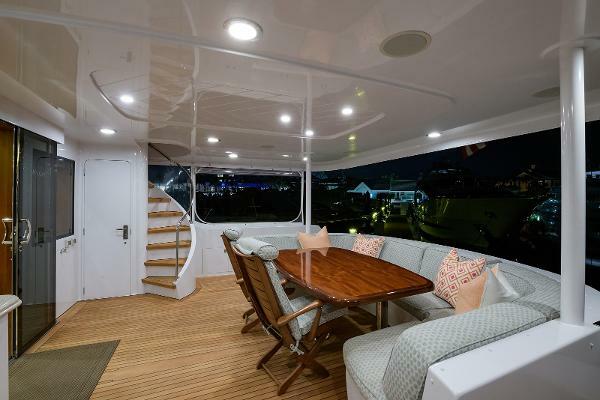 Deck area is excellent with more than enough space for three anglers and kit and internal freeboard has been kept generous for the style of boat. Deck cleats are provided, two aft and two forward for mooring and anchoring, with a seperate eye for towing on the stem/bow. Internal lockers, one forward and one aft (internally split into two) are both fully lined and capable of locking with padlocks. Very well maintained. Bought new as a package in 2010. Package included new Honda BF10HP s/shaft & Indespension trailer. Package cost over £7,500. 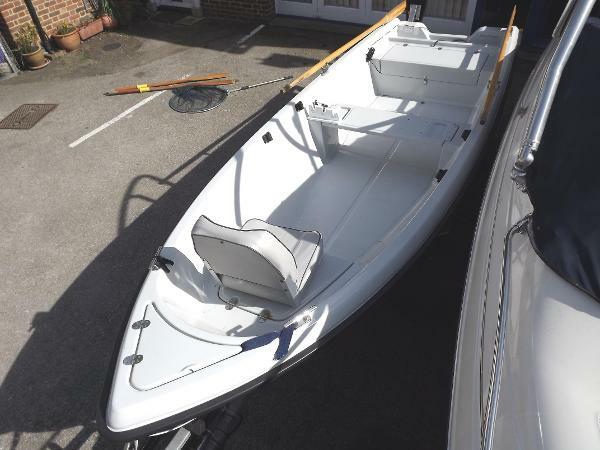 Boat is in very good condition, always kept in garage and meticulously power washed after use. Engine regularly serviced (only 40 hours use) and looks/works/sounds like new. Trailer had new axle fitted 2017 (£800 receipt). Power Wheel remote control trailer mover fitted in 2013 (costing over £1,000) all serviced and working. Complete package. Up to date service books / receipts / invoices all available. Engine(s) & Electrical: Honda 10hp, 4-stroke. Engine hours: 40. Last serviced: 2017. Deck & Canvas: Anchor, cockpit locker. Navigation & Safety: VHF, fishfinder, lifejackets. Miscellaneous: Indespension trialer with PowerWheel remote assistance. Viewings are by appointment only. For an instant insurance quote call Euromarine Insurance Services on 01843 603345. Disclaimer: The particulars detailed herein are intended to give a fair description of the vessel, but their accuracy cannot be guaranteed. These particulars are supplied on the understanding that all negotiations shall be through Highway Marine Ltd who are acting as brokers for the vendor. The vendor is not selling in the course of a business unless otherwise stated. The prospective purchaser is strongly recommended to check the particulars, and where appropriate, at his own expense, to employ qualified independent agents to carry out a survey, and/or any mechanical and electrical checks.